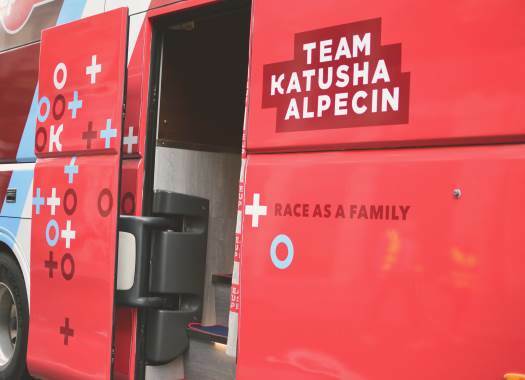 Katusha-Alpecin has extended the contracts of Nils Politt and Rick Zabel. The team and the riders have reached an agreement for them to remain until the 2020 season. The 24-year-olds have extended their contracts for two more years with the team after achieving the results expected from them at the time of their signings in 2015. "Nils is a rider who came to us in 2015 so he has been with us in the team for 3 years," said general manager Jose Azevedo. "Every year we have seen improvement from him. He has shown us this year that he can do very well in the classics with his 7th place in Paris-Roubaix. "When we first signed him, we saw a rider with so much potential, and now he is arriving at the maturity we expected. We continue to put our trust in him and he’s a big part of our team. Now we continue our work together. We signed him for 2 more years because we believe he will bring results to the team." The General Manager also thinks Zabel has been doing a good job for the team. "He’s a strong rider and in the lead-out, he’s doing perfect work for our leaders – last year for Alex (Kristoff) and now for Marcel (Kittel)," Azevedo explained. "Apart from this work he is doing, I think Rick at 24 years old can also be a winner and I think this is the next step for him. We know he can do the lead-out, but we also believe he can win. "We are happy with the improvements we have seen from him in the team and we want to keep him. Our goal when we initially sign under 23 riders such as Nils or Rick, is to prepare for the future of this team and turn them into the leaders of our team."